There are more than 100,000 jobs available in Ohio right now. Yet there are more than 280,000 Ohioans who are out of work. One important reason is because employers are looking for skills they can’t find. This mismatch — often called the “skills gap” — is holding back our economy and keeping a lot of people from finding a good job. According to one survey, in my hometown of Cincinnati, 98 of the 100 biggest privately held employers say that they are struggling to find qualified workers. That includes a major need for machinists, machine operator and manufacturing operations managers. It is a need that is not being met. That’s also true across the country. One study conducted by the National Association of Manufacturers found that three out of four manufacturers say the skills gap is hurting their ability to expand and create more jobs. More importantly, though, the skills gap is hurting people struggling to make ends meet. The average unemployed worker today has been unemployed for nearly six months. According to the Department of Labor’s Bureau of Labor Statistics, more than 5.7 million Americans are stuck in part-time work who want full-time jobs. One reason for these problems is the skills gap. Career and Technical Education (CTE) — formerly known as vocational school — is one answer to closing the skills gap. From Max Hayes High School in Cleveland, where I visited in 2015, to Butler Tech, where I visited in December, I’ve seen the impact of CTEs across Ohio. The story of Nick Bates of Cambridge is one I’ve heard around the state. Nick says he thought high school was boring until he got into a CTE program and found an internship at Basic Systems, an engineering firm. Thanks to the CTE program, he also earned some college credit while still in high school, and now he is on pace to graduate a year early from Marietta College and has the skills to get a good job. Young people like Nick are the reason why I joined with my colleague, Sen. Tim Kaine of Virginia, to found the Senate’s CTE Caucus, a group of senators who get together to come up with ways we can improve access to quality CTE. At first there were just two of us. Now there are 24 senators in the Caucus, Republicans and Democrats alike. Sen. Kaine and I recently introduced the Jumpstart Our Businesses by Supporting Students Act, or the JOBS Act, which will let kids from low-income families use Pell grants — federal student financial aid — for job training programs. Under current law, they can use this financial aid for courses lasting 15 weeks or more, but a lot of licensing and job training courses only last about nine weeks. Our bill gives them the option of using these funds for these courses, too, giving these kids an education and a running start in their careers so that they can join the middle class and live out the American dream. The JOBS Act has already been endorsed by education groups like the Association of Career and Technical Education, the National Skills Coalition, and the National Council for Workforce Education, and others. Sen.Kaine and I plan to introduce a bill called the Educating Tomorrow’s Workforce Act, which would set minimum standards for CTE programs for students using federal financial aid. This bill would make a difference because it would ensure that every CTE student can transfer their credits, have their work graded based on today’s industry standards, and use equipment that is up to date and in use by the industry today. That would give our kids a better quality education and prepare them for the jobs of the future. That’s why our bill has been endorsed by education groups from across the country. These two bills Sen Kaine and I have introduced — by improving both quality and access to CTE — will help our economy by helping close the skills gap. Most importantly, expanding and improving CTE programs will help millions of young people across our country by giving them skills that last a lifetime and will allow them to achieve their dreams in life. 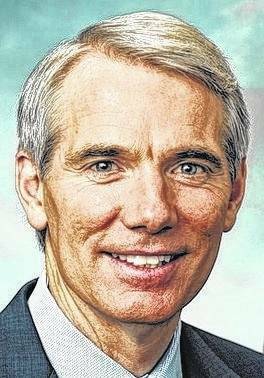 Rob Portman is a United States senator from Ohio, first elected in 2010. Contact him at 312 Walnut St., Suite 3075, Cincinnati, OH 45202. Phone: 513-684-3265.